Never got around to it, but I installed Tivo HME. Pretty nifty. 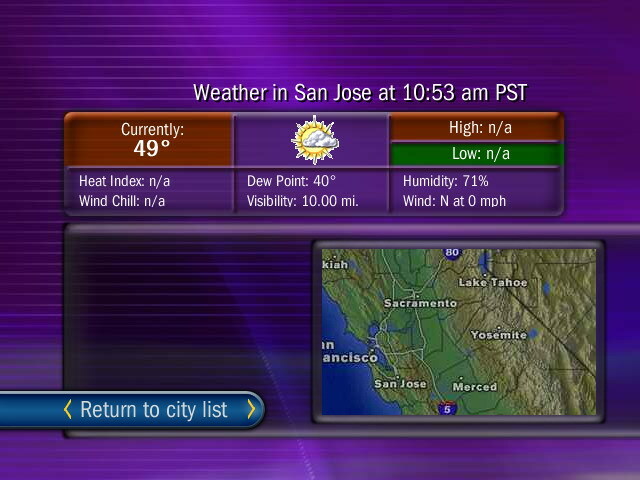 Now I can view weather on the TiVo. I already had Java installed, so the setup took about 2 minutes to see it work on the Tivo. Very impressive. I then moved on to installing the Netflix RSS Reader. My wife hates going into Netflix to view her queue. Even with her own account profile, I am asked to find out info for her. Now it's as imple as a few remote clicks. Go to http://research.tivo.com/tivotogo/ to make sure your tivo has priority to get the update to allow you to use it. Read all about how to get it to work here: http://www.tivo.com/4.9.19.1.asp. I plan to use it to watch shows on my laptop while on the road, in an airplane or at work.